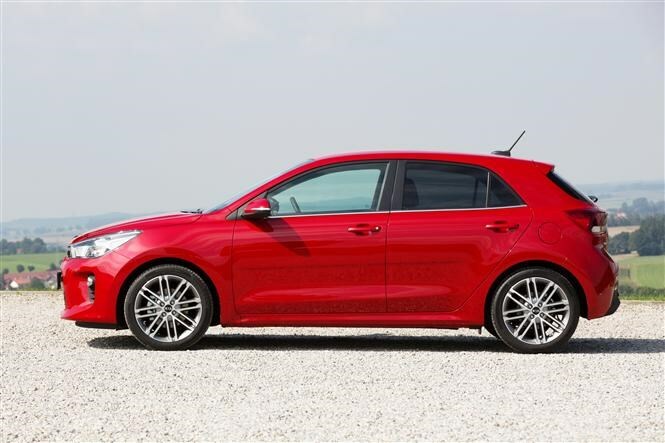 The new Kia Rio was unveiled recently and will get its first public airing at the 2016 Paris Motor Show. We’ve already had a behind-the-scenes look however at the new supermini taking the fight to the Ford Fiesta, Vauxhall Corsa and Volkswagen Polo - not to mention the French trio of Peugeot 208, Renault Clio and upcoming Citroen C3. 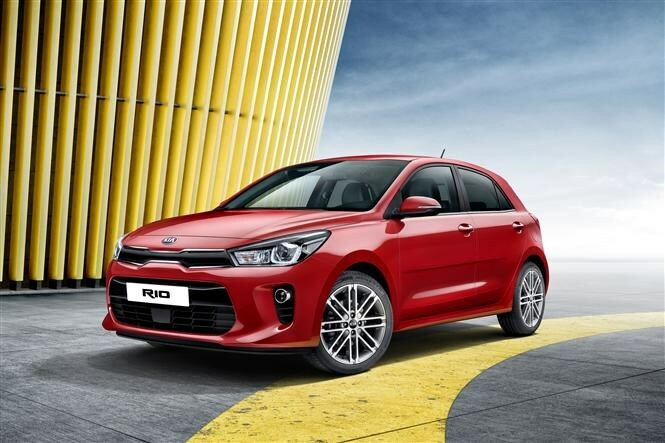 The Rio is the Korean brand’s best-selling model in Europe (3rd best-selling in the UK), and the new one is set to be its most tech-heavy version yet. The Rio has grown in length and width, but it’s lower than before. This, combined with simple lines make for a more mature look, with new LED light signatures at the front and back aiming to make the car look bigger than it really is. Gregory Guillaume, head of design for Kia emphasises the confidence of Kia’s design. “A statement was made by the previous-gen Rio. This new Rio consolidates that with more mature, horizontal lines and a classic design”. The tiger-nose grille is much smaller “but it’s here to stay”. It’ll be a trademark on all Kia models but the brand won’t follow Russian Doll styling of other manufacturers. It certainly looks like a step up to more premium levels, but it’s not something that Kia set out to do specifically. “It’s nice that we’re perceived that way but we didn’t specifically aim for it”, says Guillaume. The new model is expected to only be available as a more practical five-door, with the three-door model dropped entirely from the range. The new Rio’s interior is a big step up from the previous model in terms of design. Guillaume notes how the new Rio “fits around the driver” whereas the previous model felt a little more like you were sitting on it, rather than in it. The big news is the new five-inch, high-resolution ‘floating’ infotainment screen sitting on top of the dash. Much like those found in various Audi and Mercedes models, it contributes to a more upmarket look. There’s new infotainment options too – Apple CarPlay and Android Auto will be available, while a choice of a Red Pack for the interior lifts things with red dash trim and red and black artificial leather seats. Kia’s Connected Services, found on some of its larger models, will be available too – giving live traffic updates, weather information and speed camera detection – it comes included with cars fitted with sat-nav. 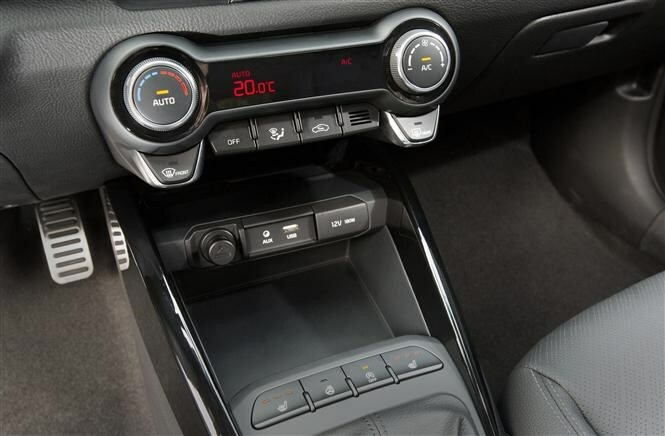 Those with connected kids will be pleased that there are two USB slots in the rear (as well as the front) to keep them entertained on long journeys – another first for this segment, according to Kia. 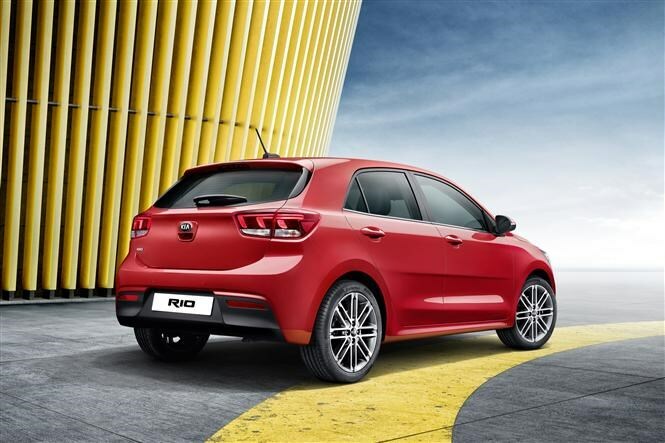 The new Rio is the first B-segment supermini to come with autonomous emergency braking with pedestrian detection. An audible warning will let the driver know there’s a hazard and apply the brakes if necessary. Lane-departure warning system comes with this feature when specified from the options list. 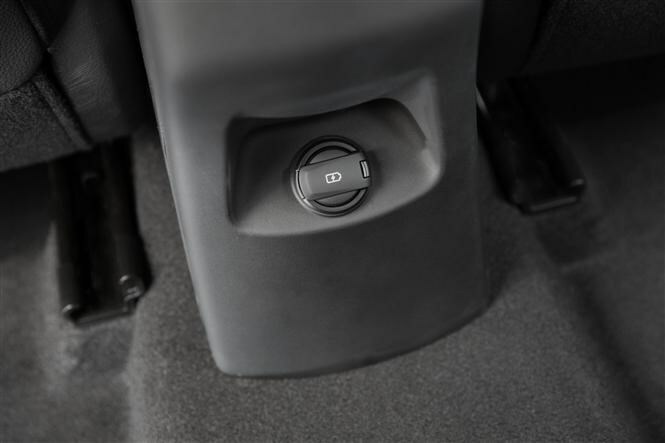 Luxuries such as a heated steering wheel, heated seats, keyless entry and auto lights and wipers will all be available, while adaptive cruise control and park assist with camera will be present on the options list, too. 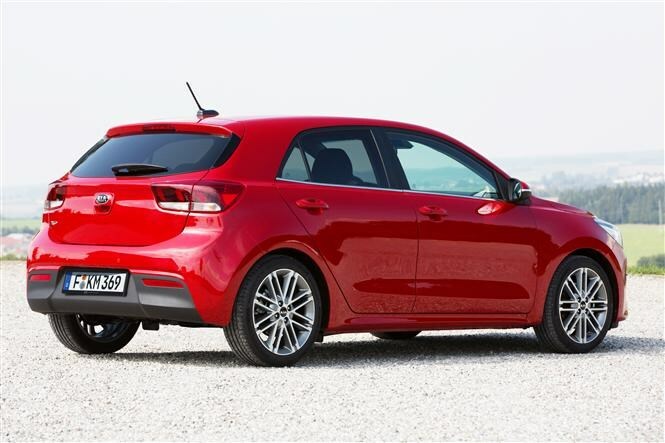 The extra 10mm in the wheelbase and 15mm-longer body mean the Rio majors on practicality and interior space. The biggest news is a generous 325-litre boot capacity (most rivals manage just less than 300 litres) with a variable boot floor. 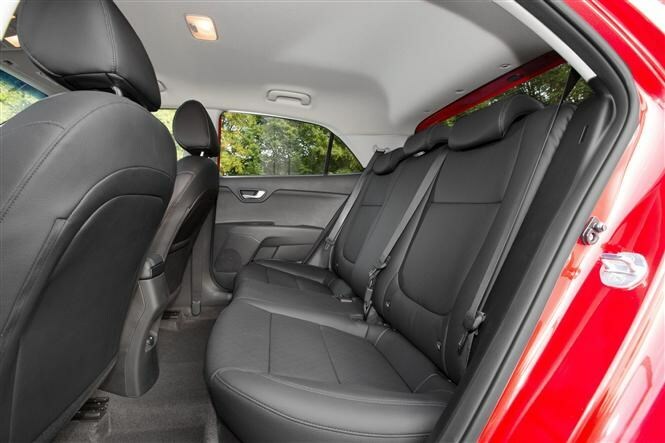 Extra attention has also been paid to providing plenty of storage around the car, including large bottle holders in every door bin, for example. 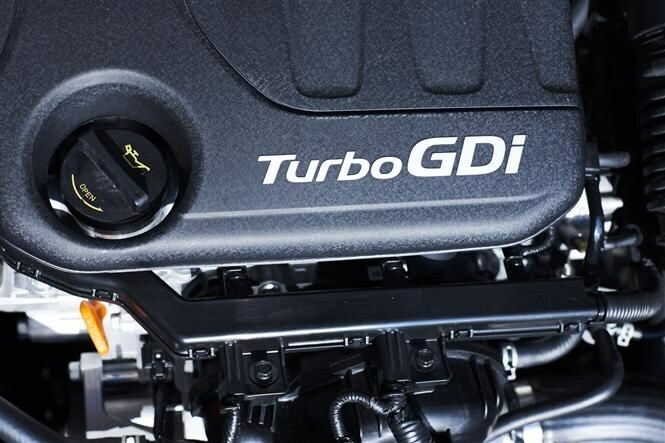 The big news here is the introduction of the 1.0-litre three-cylinder turbocharged petrol found in the larger Ceed. 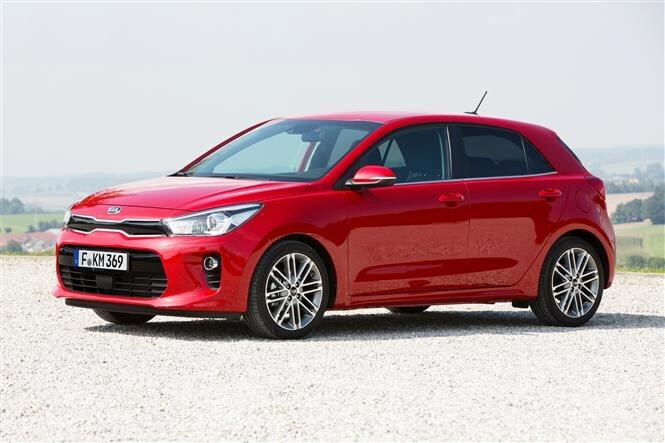 Kia predicts it to be the most popular choice in the Rio. There’s a choice of 100hp and 120hp outputs and they’re expected to emit less than 100g/km of CO2, meaning zero road tax in the UK. Existing 1.25-litre and 1.4-litre petrols will also be available, as will a 1.4-litre diesel with a choice of 70hp or 90hp outputs, expected to emit less than 90g/km of CO2. In terms of gearboxes, the 1.25-litre petrol and 100ps 1.0-litre T-GDi petrols get a five-speed manual transmission, while the others will get a six-speed manual. The new Rio is not due to go on sale in the UK until March 2017, so pricing is yet to be finalised. We would aniticpate a slight rise in costs, however, compensated by an increase in standard equipment right across the board. We’re expecting the Rio model line-up to mirror that of its latest cars, running up from 1 to 2, 3, 4, while a sportier-looking GT Line model will also join the range. There may well be a generously-equipped First Edition to launch the new model as well. There’s no word on pricing just yet, but it’s not expected to stray too far from current prices. Of course, the Rio will come with Kia’s 7-year warranty as standard, too. 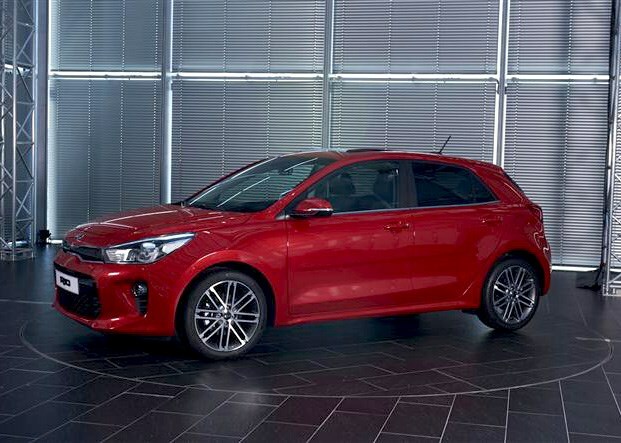 Parkers will be among the first publications in the country to drive this crucial new model, so keep an eye out for the full Kia Rio review towards the beginning of 2017. 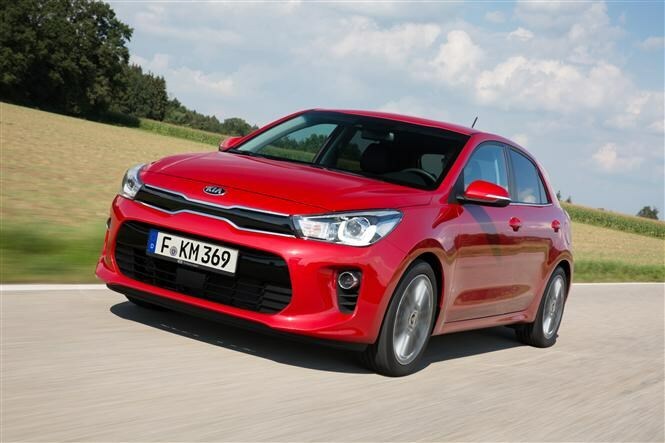 You can read the full review of the current Kia Rio by clicking here.